Lately I’ve been spending a lot of time in Moodle; mainly of course as part of my Moodle Teacher Certificate (MTC) program (which I successfully completed last week), but also because of the Austrian Moodle conference, which I attended on Thursday and Friday in Graz (I had a presentation about the Sloodle project). I’ve been using Moodle in different roles (admin, tutor, user) for quite some years now, and I believe that Moodle is a great platform for e-learning because it’s powerful, relatively easy to use, and also expandable and customizable for different needs. What is also great is the fact that the Moodle developer community is very active and always making sure new versions have useful new features and improvements of previous standard modules. I had the pleasure to attend Martin Dougiamas’ virtual presentation about the future of Moodle at the Austrian Moodle conference a few days ago, and I’m really excited about some of the features we’ll be soon seeing in version 1.9, and also the roadmap for Moodle 2.0, which in my opinion has the potential of making Moodle 2.0 a great member of the Web 2.0 family. 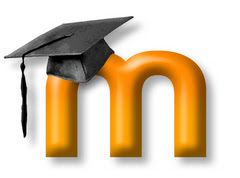 In this post I’d like to share with you some of my thoughts on the future of Moodle. I believe that Moodle has a sustainable future, so I’ll focus mainly on discussing upcoming Moodle features and possible future developments. Among Moodle 1.9 features that Martin presented on Thursday, I was most impressed by the added social networking features. I think it’s a great step towards making Moodle even more flexible and user friendly. If you’re a Moodle.org site user, make sure you edit your profile and add your interests and try finding users with common interests (check out the page for the tag ”moodle” - cool, isn’t it?). 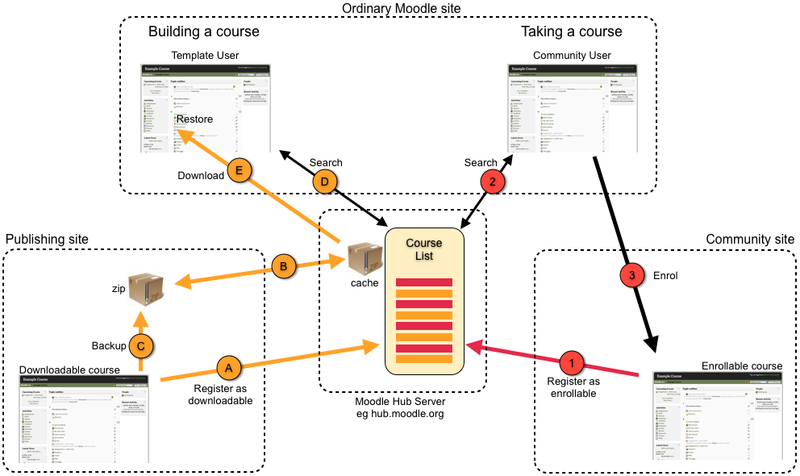 Right now I sometimes feel limited by the rigid course structure in Moodle, and I really can’t wait to have a better way to connect with other Moodle users through tags and shared interests (similar to what Elgg offers). And one of the next steps is hopefully the ability to mark Moodle items (forum posts, resources etc.) as favorites, so each user could create his/her own library of favorite resources. However, another problem I’ve been seeing with Moodle for some time now from the perspective of a common user (i.e. student role with no editing rights), was not just being closed in courses, but also being closed and limited to a certain Moodle site. I often found the thought that students lose access to their Moodle resources/activities/data after a course or study year is over disturbing. Of course, teachers have many options to export/import content and date, and move content/data among their courses and among Moodle sites. But the students don’t have any easy way to export their work and move it to a new Moodle site or to their personal archive somewhere else. So, I think one of the next steps in Moodle development should also be empowering users and enabling them to create their library of resources and also their Moodle portfolio that they (the students, not the teachers or administrators!) could take to another Moodle site (when changing schools for example). The Moodle development roadmap shows plans of enabling easier connections between different Moodle sites through the Moodle Network, which plans to provide a Moodle Community Hub for sharing content, user info, and enabling better peer interaction. However, I think that moving between Moodles should also be made easy for students, and not just for the teachers. What I’d also like to see, is improvements in helping students getting around their Moodle courses. Moodle provides a block, which shows recent activity since the last login for each course, and also an overview of your course through the My Moodle page (though I really wonder how many administrators/teachers/students are aware of this option?). Still, I think the overview of my courses pages could and should be further improved by adding more flexibility and customization options. This could be very important for large Moodle sites with a lot of activity (like the moodle.org site, which I find very challenging to follow!). What I would like to see on the overview page is something closer to Facebook News feed page. Students should be able to control what appears on this page, in what order, and in how much detail. Some sort of personal dashboard with more user-centric widgets. Now you can of course add some standard blocks to the overview page, but I miss more tools to help the users organize and plan their learning activities and perhaps an option to set up custom e-mail alerts that relate to specific course events. I really don’t like to receive e-mails for every Moodle post in a certain forum (especially for the most active ones), but I think it’d be useful to be able to add a rule to receive an e-mail update whenever a new resource/activity is posted (in any of courses you’re enrolled in) or when new topics that match your interests (keyword watcher) are started.